Irish Rail train timetable changes apply from Sunday 20 January. 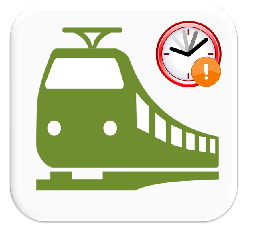 New timetable services are now shown in Irish Rail's on-line booking website. Printed versions of the new and old timetables are available on-line. In summary, almost all trail services leave a few minutes later (usually 5-15 minutes), and have a slightly different (usually quicker) journey time. First Sunday service from Dublin to Galway leaves 30 mintues at 8am. First Galway to Dublin Mon - Sat service is at 5:30am instead of 5am, and arrives at 7:57pm. Times of Mon - Fri service Galway to Athenry and then Limerick are adjusted, and one service is cancelled.